PA chairman Mahmoud Abbas taps Fatah committee member, in attempt to form new ruling coalition - without Hamas. Palestinian Authority chairman Mahmoud Abbas has tapped an ally and senior Fatah party member for the task of forming a new ruling coalition, following the resignation of the previous government. 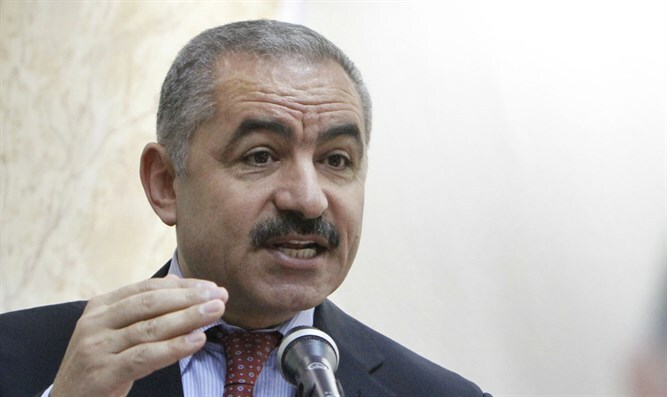 On Sunday, Abbas charged Mohammad Shtayyeh, a senior member of the Fatah party’s central committee, with forming a coalition government, WAFA reported. The decision came after the previous government, led by Rami Hamdallah, resigned at the end of January. While Hamdallah endorsed reconciliation between the PA and the Gaza-based terror group Hamas, senior Fatah leaders said the next PA coalition would work to isolate Hamas, amid the ongoing deadlock. Observers have suggested Abbas’ selection of Shtayyeh was meant in part to deepen Hamas’ isolation, and ensure that the next coalition does not include the Gaza-based terror group. While Hamas and the PA signed a comprehensive reconciliation agreement in 2017, which had included provisions for a unity government in exchange for the reassertion of PA control over Gaza, the deal was never implemented. The subsequent standoff culminated in the PA cutting off funding to Gaza’s public employees, and an end to funding for electricity purchases and fuel for the Strip’s lone power plant.